Riding on unfathomable volumes of industrial expertise, we are manufacturing and supplying an excellent range of Metal Span Deck. 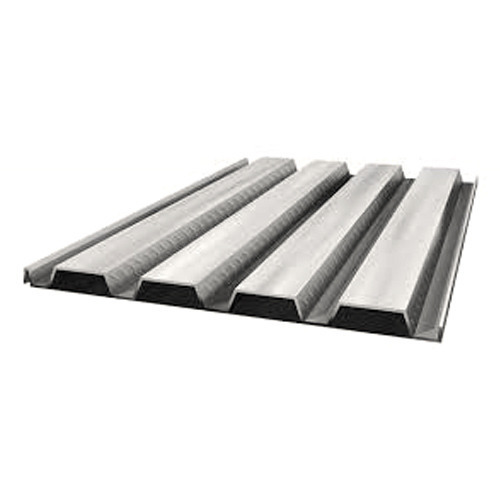 We “Poly Roof Industries” are reckoned Manufacturer and Supplier of wide range of Downspout Pipe, Crimped Pipe Accessories, Turbo Vents & Accessories, Z & C Purlins, etc. The products provided by us find their use in civil and construction projects. When we started our process, we have developed a wide infrastructural unit that is situated at Ghaziabad (Uttar Pradesh, India). Under the fruitful direction of our mentor “Mr. Rahul Kapur”, we have gained a strong and noteworthy position in the national market.